Will self-driving cars enable jerks? Will self-driving cars enable jerks? Will laws have to change? Autonomous vehicles are in our future. There’s no holding back the tide of technology. All the data shows that self-driving systems are safer than the average human driver. Maybe you’ve already seen the video that went viral last week in which a Tesla autopilot prevented itself from getting involved in an accident. The car detected the accident about to happen, and pre-empted the event. Utterly brilliant. If there is any chance, an autonomous car is going to avoid crashing into another vehicle, person, or object. It’s going to brake. This is fantastic, but has the potential to cause huge issues. I’m not talking about extreme cases here, and the Trolley problem (the ethical dilemma which the software might encounter if confronted with having to select the lesser of two evils; save the occupant by plowing into the old lady, or risk causing serious harm to the driver by running into something harder instead). How do you value one collection of lives against another? There will be long debates on this topic, and there’s no magic answer that’s 100% right in these tragic situations. These days, you’d have to be mentally unstable to attempt to run across a freeway. 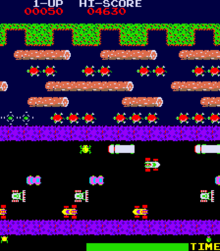 If you attempted it today, even if you are an expert Frogger player, your life expectancy would be measured in seconds. But how does this change in an autopilot rich future? If you’re an asshat, and you wanted to, you could just run across the road, safe in the knowledge that the cars would stop (or swerve) to avoid hitting you. There’s a compelling reason you don’t attempt to cross busy roads today, whenever and wherever you want; Death! Restrictions aren’t necessary because, well, you’d be insane. However, in the future, someone walking down the street and spotting their friend on the other side of the road, rather than wave, shout, or find a cross-walk, could simply just step out into the street. With magic suddenness, the traffic would stop for them, just like the Red Sea parted for Moses. The disruption of this sudden stop would send compression waves through the rest of the traffic playing havoc with what, otherwise, would be fast flowing traffic. There’s a compelling reason you don’t attempt to cross busy roads today, whenever and wherever you want; Death! People walking into roads would be jerks, but they would not become roadkill. What can be done to stop this? There are jaywalking laws in most states, which generally follow the Uniform Vehicle Code. Currently jaywalking it considered an infraction (or a misdemeanor in some jurisdictions). Will this crime need escalating to a felony? I’m half joking here, but there’s potential that a selfish act of crossing whenever and wherever you want might end up causing an accident. If you point a gun in the air and fire off a bullet, whilst you might not have been aiming or attempting to kill someone, if the bullet ends up killing someone, it’s negligence and involuntary manslaughter (probably). Cognizantly stepping into traffic could be considered just as negligent.